Want a unique experience? 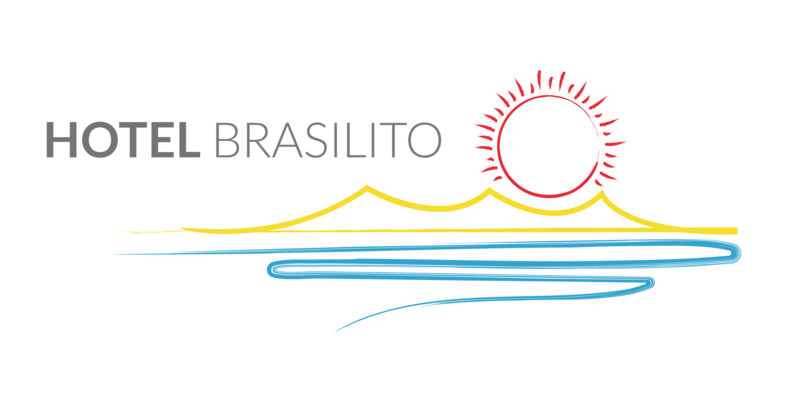 Then welcome to Hotel Brasilito, in front of Brasilito Beach. We are within walking distance of Playa Conchal, universally recognized as one of the most beautiful beaches in Costa Rica. Enjoy our beautiful ocean view, palm garden and our outdoor restaurant all in an authentic Costa Rican village. Hotel Brasilito is a rustic, garden-style, property located at Playa Brasilito. We are tucked away in the heart of an authentic Costa Rican village where you can experience the sights and sounds of Pura Vida - the real Costa Rica life. We are not an American cookie-cutter hotel. If you are looking for something a little different, within a short walk to gorgeous Playa Conchal beach, and a short drive to either Tamarindo, Playa Grande, Flamingo, Potrero, Sugar Beach or Playa Danta, we are for you. Our simple, clean rooms, most without television, give you a chance to unwind from your everyday world. Get in sync with the rhythms of nature and village life, while still being able to check your email. Each room has a private bathroom with hot water shower, ceiling fans, table and chair, parquet or tiled floors, and most have air conditioning with remote control. Choose an oceanfront room with shared balcony and hammock and enjoy the sound of the surf within a few yards of your door. Or stay in one of our garden view rooms and see howler monkeys nibbling on papaya from one of our many trees. At night you can hear the ocean from every room in the hotel. Our central coutyard leads into our onsite restaurant El Oasis Bar & Restaurant that serves breakfast, lunch and dinner, seven days a week 8:00 am to 9:00 pm (during the month of October). The rest of the year we are open from 7:00 am to 10:00 pm. We have an extensive menu offering local favorites like whole red snapper, flash-fried to perfection to arroz con pollo (chicken with rice). Our full service bar serves daily happy hour. Try our signature drink, the Oasis Dream. We call it the "Adult Milkshake". Or walk around our welcoming village and eat at any of the restaurants and sodas nearby. Spend your days body surfing at Playa Brasilito, snorkeling and sunbathing at Playa Conchal or surfing at Playa Grande. Enjoy sailing, stand up paddle, fishing, diving, canopy, horseback riding, ATV, skydiving, white water rafting or any other activity the Gold Coast of Guanacaste has to offer. Want to have a full day experience? Day trips to Nicaragua include a stop at the active volcano Masaya. Want to explore on your own? Car rental services can be arranged. We will direct you to the Llanos Cortes waterfall, mud baths and hot springs. If you are looking for an affordable place to vacation and listen to the waves roll up onto the shore or if you want to get away from the tourist bustle of Tamarindo and go where the Costa Ricans go, come stay with us. For an additional nominal fee, bring your furry pet along. We can arrange reasonably-priced shuttle pick up from Daniel Oduber Quirós International Airport or San Jose International Airport. Fee set by shuttle company. If you have any questions, do not hesitate to contact our bilingual staff at hotel@brasilito.com or call us at 506-2654-4237. Or reach us via Facebook messenger or InstaGram message.